If you are like me, no matter how much planning you do, the holidays are always busy. While it is a busy season, you probably would like to free up more time to spend with your friends and family. One way to free up some time is to make ahead some breakfast dishes so that you are able to enjoy your company. 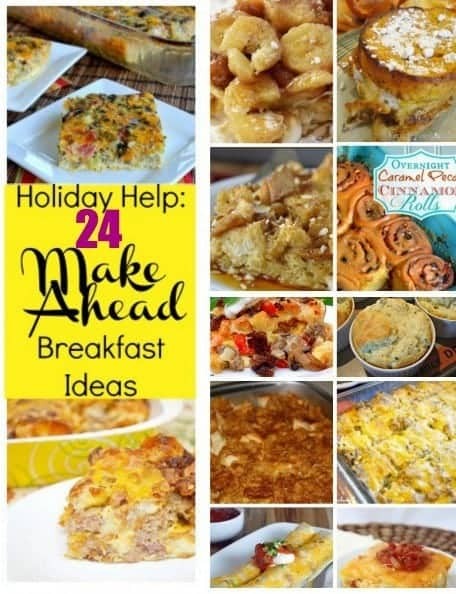 Here are few Make Ahead Breakfast Recipes for your holiday. By making these breakfasts before you need them, you can just prepare them when you need them so that you free up your preparation time. Many of these are great for any time of the year so be sure to Pin it for future reference.These also make great recipes for a brunch or shower. I organized them a bit for you by type, because, well, you know. Prepare a couple of these recipes the night before and set your table too! If having a buffet, make little signs with titles so that people know what the dish is. The day of the breakfast, just prepare and serve. Thank you Rose! Merry Christmas to you too! Thanks Jenn! They all look scrumptious don’t they? This is the only way we get by on Christmas morning. We prep or make ahead a casserole type thing the night before. 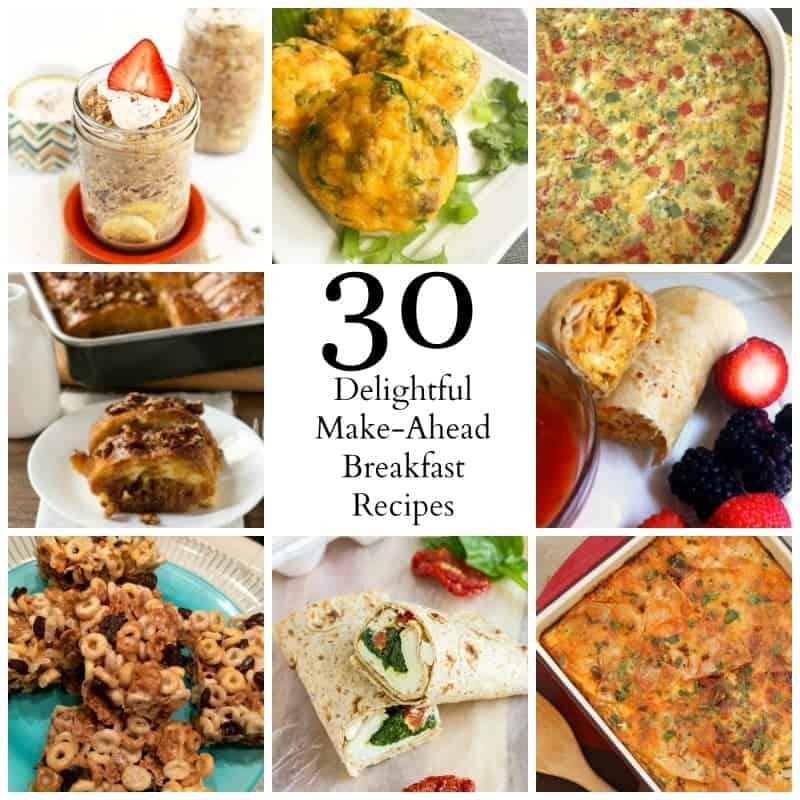 I really love french toast bakes, slow cooker breakfast and breakfast burritos. And I love the way you organized this. Happy Holidays!! Thank you so much for including our recipe!! Thanks Tara! Happy Holidays to you too! These are amazing – super helpful for me, as I’m usually a snooze-til-the-last-minute person. Thanks Raquel! Yes, I love the convenience of make-ahead Jeff too Jeff! Thank for stopping by! 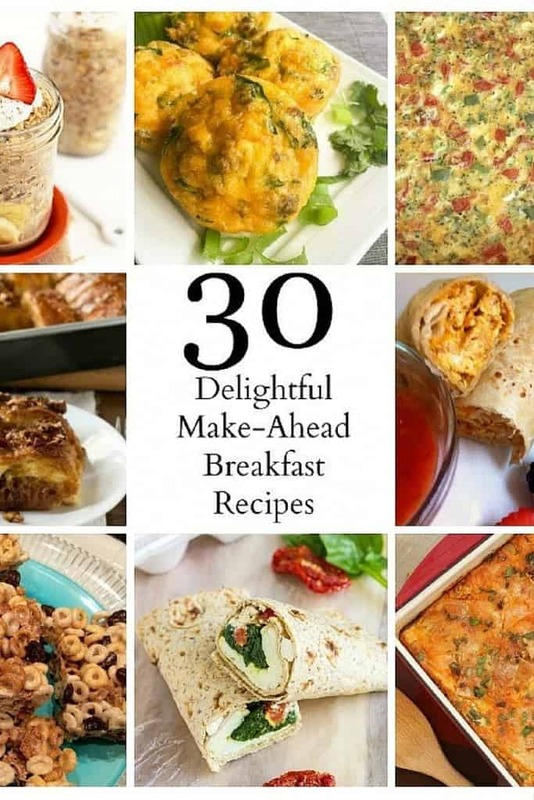 We will have an amazing breakfast by following your recipe. It’s fantastic. Thank you for sharing Raquel!!!!!!! Thank you Angie! Glad you enjoyed them!